As of March 2018, the library opens 4 days a week for 28 hours. See Kent County Council website for latest information. This information was current in March 2018. See Kent County Council website for latest information. Hartley Library began life at the old WI hall in Ash Road. By 1930 it was thought to be one of the better stocked libraries with about 180 books. Until the1960s it was run by local volunteers. The current building was opened on 26 February 1969 by Commander D.S.E Thompson. Then Hartley was the only library in the district and attracted customers from as far apart as West Kingsdown and Darenth. Figures for the year 1969/70 showed it had a stock of 10,000 books and dealt with 83,802 issues. The membership stood at 2,300 (1,622 adults and 678 children). Since then New Ash Green (1982) and Longfield have been added. Hartley's opening hours were cut on the opening of NAG. 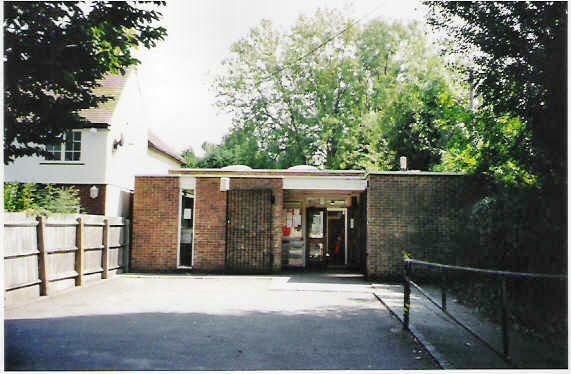 Traditionally Hartley library has been part of North Kent libraries. From 1974 to 1983 it was part of the Gravesham division, in 1983 the division was partitioned and Hartley, Meopham, Longfield, New Ash Green, Vigo and West Kingsdown became a new North Downs Group. But in 1996 KCC decided to transfer it to Sevenoaks Library, for the only reason that Hartley was in Sevenoaks District Council area - an unfortunate move because Dartford Library has built up over the years an excellent collection of material on Hartley. New Ash Green is deemed to be a more important library with longer opening hours; it is the only nearby library to receive Sevenoaks council agendas and reports, for example. In 2004, Kent spent £1,974,000 on book stock across the county, but does not keep records for each branch library. The current opening hours of 28 hours compare well with 1997 when a cash crisis forced KCC to reduce the number of hours to 10 per week, but is still well down on those of 30 years ago. In the 1970s the library opened 5 days a week and as late as 7pm on Tuesdays and Thursdays. Kent County Council regularly publishes statistics on library use on their website. I am not entirely sure that the statistics are necessarily counting the same thing each time.